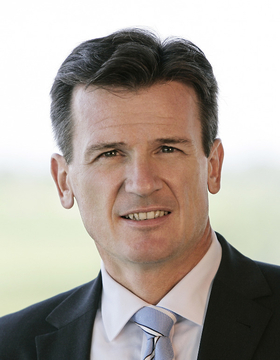 BERLIN (Bloomberg) Wolfgang Bernhard, production chief at Mercedes-Benz, has made four trips to central Hungary since rejoining the Daimler AG management board a year ago. His career depends on a factory being built in the region. The 50-year-old executive has kept a low profile since returning to Daimler in 2009, five years after being pushed out by former-CEO Juergen Schrempp. Bernhard's main challenge is making factories run more smoothly as Mercedes lags behind BMW AG and Volkswagen AG's Audi in filling assembly lines. The lack of consistency was evident in the fourth quarter. Mercedes earnings before interest and taxes slipped to 8.3 percent of sales from 9.5 percent in the third quarter. The surprising drop in profitability contributed to a 4.4 percent decline in Daimler shares when it released earnings Feb. 16. The stock has gained 60 percent since Bernhard joined the board. Daimler's car unit, which includes Mercedes, the Smart city car and the ultra-luxury Maybach brand, targets consistent profit margins of 10 percent by 2013. The company is aiming for the boost even as it doubles the lineup of small cars, which are typically less profitable than big sedans like the E and S Class. Small cars are critical for Mercedes to meet tighter emissions standards and keep pace with BMW and Audi in sales. Mercedes also needs new models to attract younger drivers to the brand, with its average customer older than its competitors. A revamped B Class, the first of the line, will be introduced later this year. A compact hatchback, coupe and SUV are also planned. "If Bernhard's going to progress, then he needs to successfully implement long-term strategy," said Christoph Stuermer, a Frankfurt-based analyst at IHS Automotive. "The current A and B Class made only a marginal contribution to profitability." After challenging Schrempp and subsequently losing his position as head of Mercedes in 2004, Bernhard led VW's namesake brand for less than a year before again losing a power struggle, this time with Chairman Ferdinand Piech. He also antagonized VW unions by threatening to relocate Golf assembly outside Germany. "Bernhard had acquired a reputation as a ruthless cost-cutter, but now he has to make a name for himself in the more subtle art of people management," said IHS's Stuermer. "It's very important at Mercedes to become a good guy to work for, someone who's not going to bruise people with big egos."